RIO DE JANEIRO (AP) — Brazilian President Jair Bolsonaro believes the crimes of the Holocaust can be forgiven, but shouldn't be forgotten. The far-right leader made the comments Thursday night at a meeting with evangelical pastors in Rio de Janeiro. He was applauded by those who attended. "We can forgive, but we cannot forget. That quote is mine. Those who forget their past are sentenced not to have a future," Bolsonaro said, adding that actions are needed for the Holocaust not to be repeated. On April 2, Bolsonaro visited the Holocaust memorial in Jerusalem alongside Israeli Prime Minister Benjamin Netanyahu. During that visit, the Brazilian leader labelled Nazism a leftist ideology, a claim rejected by historians. More than 6 million Jews were killed by the Nazis in the Holocaust. Bolsonaro has ups and downs in his relationship with Brazil's Jewish community. In 1998, as federal deputy in Brazil's Congress, he defended students at a military school in the southern city of Porto Alegre who voted for Adolf Hitler, among other figures, as the historic character they admired the most. 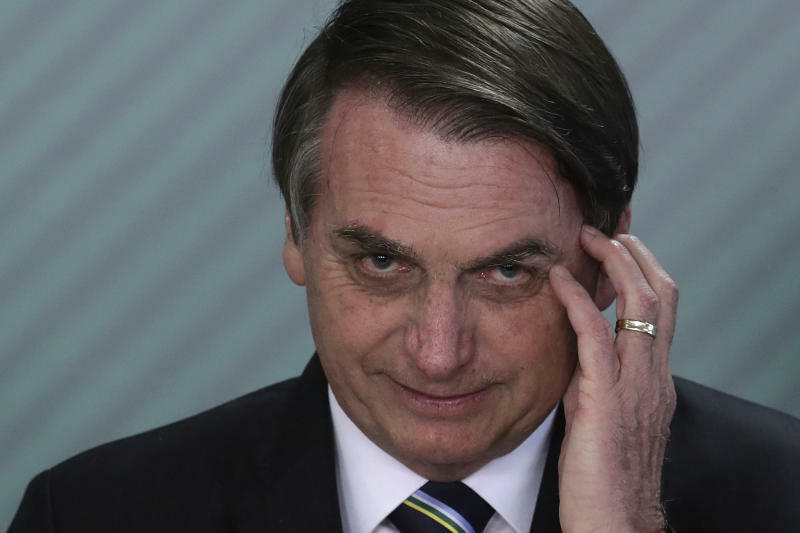 "They have to choose those who knew, in one way or another, how to impose order and discipline," Bolsonaro said at the time, adding that he did not agree with the atrocities committed by the Nazi regime. Official figures estimate the number of Jews in the South American country in about 120,000, corresponding to 0.06% of the population. Also Friday, New York's American Museum of Natural History said it was considering its options after discovering a function booked to take place there would honor Bolsonaro. The museum is the venue for an annual party organized by the Brazilian-American Chamber of Commerce, in which Bolsonaro will be one of the honorees this year. "We are deeply concerned," the museum said on Twitter. The Brazilian president has taken a series of measures criticized by environmentalists, including several that transfer environment ministry attributions to the country's agriculture ministry.